The term ‘Retirement Planning’ broadly refers to the process of working out what your retirement goals are, for example, deciding at what age you’d like to retire and the type of lifestyle you want in retirement; and then looking at ways you can achieve those retirement goals. 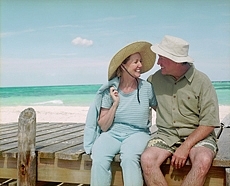 In financial terms, retirement planning refers to allocating finances for your retirement, such as setting aside money or other assets, which can be converted into a steady income at retirement to support you and your family. "Retirement can last for ten, twenty or thirty plus years. How will you fill your time and support yourself for those years?" Although it is a straight forward idea, when you look into it, retirement planning may seem quite daunting and as a result gets put off by a lot of people. However, the earlier you start thinking about it the easier it will be to achieve your retirement goals. Why do I need to think about retirement? The reality is most people between the ages of 18 and 40 years are fully occupied trying to study, hold down a job and/or raise a family so thinking about retirement planning doesn't feature highly on the priority list. However, due to increasing life expectancy, strained social security services and unreliable investment markets have created financial uncertainties which are forcing the Government and employers to increasingly transfer the responsibility for adequately funding our retirement back into our own hands. Am I ready to retire at the age, and in the way I want to? So I have sufficient funds to retire? What do I need to do to improve my retirement options? "Putting a retirement plan in place, not only allows you to maintain your accustomed standard of living, it may also enable you to fulfil lifelong dreams"
to chance. It’s never too late to think about retirement planning, but the earlier you start the better! We all work hard for our money so why not make it work hard for you? By taking advantage of the tax efficient products and benefits available we can start to make our money work harder. which is authorised and regulated by the Financial Conduct Authority, FCA number 230342.